his is one of those tests I’ve been wanting to do for a few years; but it kept being postponed and at one stage it seemed like it would never happen. In the meantime ownership of the company changed, the Model 88 I was originally planning to test has been eclipsed by the Maggiore (“reference”) line M50, though the Model 88 remains in the Audiopax portfolio within their “Classic” range. In fact I had started inquiring with the Brazilian company Audiopax already back in 2011. Brazil is surely not known for being a home to many audio companies. But it was there, at the beginning of this millennium, where one of the most interesting tube amplifier manufacturers was founded. A manufacturer which is particularly interesting I might add, as they have their own concept of how a tube amplifier should be designed in terms of both sound and aesthetics. In this regard Audiopax reminds me of another, equally exotic audio manufacturer from South Africa, Vivid Audio, who offers loudspeakers taking the concept of Bowers & Wilkins Nautilus speakers even further than the original manufacturer. 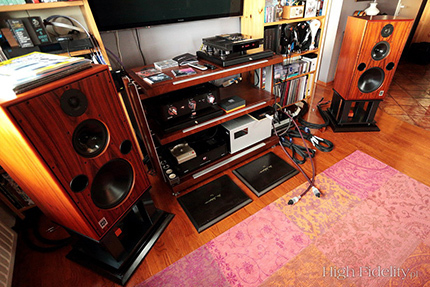 Mr Eduardo de Lima, founder of Audiopax, was an electrical engineer who started his audio adventures in 1997 with his first commercial product the SE310 amplifier, a 300B SET, that was presented together with CX305 loudspeakers during VSAC Show in Silverdale, USA. In that same year he also developed the LM3 (Low Mu Triode with Higher Raw Efficiency Emulator - LMTHREE), that emulated the behaviour of 300B tubes using KT88 valves. This emulator was used for his next model, SE388, which was presented in 1998 at the Sao Paulo Hi-Fi Show and VSAC Show. The big step for AUDIOPAX came in 2001 with the launch of the Model 88 that for years was the best known Audiopax model. It premiered at CES in 2002. Each of these mono amplifiers featured two KT88 tubes in the output stage. And yet they did not work in push-pull configuration. But it wasn't a classic Parallel Single Ended configuration either. Mr Eduardo de Lima's objective was to create an amplifier that would use some popular (thus not expensive) tubes, would work in Class A Single Ended configuration, would offer reasonable power output and yet sound like a low-power SET amp such as those built around triodes such as: 300B, 2A3 and 45. This technology was called Perfect Triode Simulation (PTS). Prototypes were based on KT66, that were later replaced with KT88. For this amplifier Audiopax incorporated another of its developments which Mr de Lima named Timbre Lock. Simply put, this can be described as a feature that allows the most appropriate interface between the different components in the audio chain. It replaced LM3 emulator solution. Mr de Lima’s approach was to exploit the qualities of the tubes he worked with rather than fight against them. Each Model 88 mono amplifier consisted of two independent amplifiers within its chassis – the solution was called ASTAT (Asymmetrical Series-Twin Amplifier Topology). Each amplifier featured independent bias/Timbre lock adjustment for its tubes. With these adjustments the user could change the working conditions for the tubes and by doing so, change the sound. This is quite different from the approach that an amplifier should be just like “a piece of wire amplifying the signal”. This design acknowledges that an amplifier is an imperfect tool; but it also shows that these imperfections could be used to the user's advantage. The basic idea was to manipulate the KT88 characteristics in such a way that it would be identical to that of a triode tube such as a 300B; but offering bigger gain at lower cost. In a 2002 interview given by Mr de Lima to Srajan Ebaen, Mr de Lima stated: “one the big challenges was building a very low noise power supply – it was necessary to achieve the ultimate goal (you can find the interview HERE). It is relatively easy to lower the noise by using feedback. But Audiopax amps use no feedback at all, which required the designer to develop a different solution. In 2003 Audiopax started to work with Avantgarde Acoustic USA. The Avantgarde horn speakers feature sensitivity as high as 103 dB (or more); so for these amps to work really well with those speakers, noise levels had to be kept extremely low. In 2004 Audiopax released their Model 5 preamplifier using Timbre Lock. Then in 2011 a completely new line called Maggiore was introduced. Unfortunately a year later Mr Eduardo de Lima passed away and soon after that the second partner in the firm died too. The last partner, the youngest one, Mr Silvio Pereira, became the only surviving partner. At the time he was a technical director working for Global, the biggest Brazilian TV network. He was doing very well there and happy with his job. The next few years were very hard for Audiopax. After Mr de Lima's passing orders stopped coming as customers were unsure about the company's future. Finally Silvio and his wife made a difficult, yet very important decision – they decided that Audiopax was to become their full time job. It was not about the money because, as Silvio told me, working for Global he earned much more. The reason was on the one hand his passion for music and on the other he couldn't let Mr de Lima’s legacy to die with him. As it quickly turned out good people attract other good people, so very soon they had great professionals working for them. They all decided to take up the challenge of continuing development of the new amplifier that had already been initiated by Mr de Lima himself – Maggiore. These amps also use KT88s, the design is similar to the Model 88, but a third tube, indeed a third amplifier was added. They also developed a new chassis – the initial Maggiore amplifier the M100 had a rather 'industrial-style', the new one can still be called “macho”, but it is definitely more stylish than its predecessor. The key feature of the new amplifier is still Timbre Lock. Silvio told me that it's not really about adjusting bias (within 78-92 mA range), but about how it effects the transformer's loading. The latter sports independent, asymmetrical windings for each amplifier. The idea is to have 90% of penthode efficiency while preserving the gain curve of a triode. The matching preamplifier from the Maggiore line is called l50. One might think of Audiopax as a tube company, but in fact that’s not the case, as this preamplifier proves by using MOSFET transistors instead of tubes, albeit in a very similar layout (as the power amplifiers). It also features Timbre Lock. The transistors are working though with high voltage current, and are treated as if they were tubes. This test was only possible thanks to Mr Geoff Armstrong's help, who is the European Audiopax distributor. His headquarters are situated in Monaco, and he specializes in finding exotic brands that offer something unique. 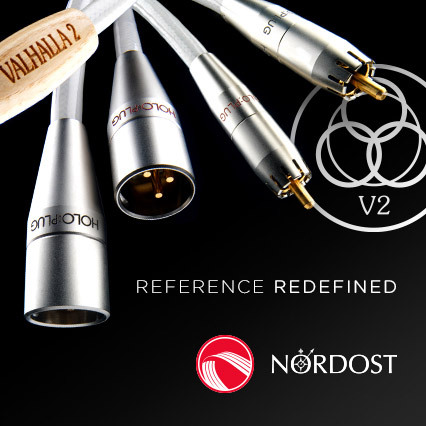 His portfolio, apart from Audiopax, includes also Polish brands such as Ancient Audio and LampizatOr. It was not a typical test as the time for the listening session was extremely limited. Geoff and Silvio visited me right after the Vienna Show. We brought boxes in, unpacked them and Silvio started to do his magic. 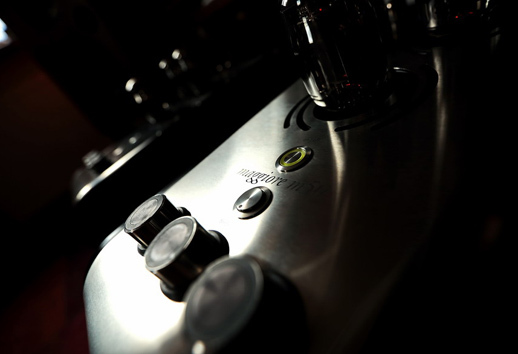 Three Timbre Lock knobs allow the user to significantly change the sonic characteristics. Performance might be more „krell-like”, or more „tube-like”. The changes are more complex than that but that gives you a general idea. For facilitating these adjustments we used a cello recording – I offered a few and Silvio chose Bach's Cello suites Nos 1,3&5 played by Mischa Maisky. We placed the amps on the floor on Acoustic Revive RST-38H platforms and hooked them up using Acrolink Mexcel 7N-PC9500 power chords. The preamplifier landed on a shelf of my Finite Elemente Pagode Edition rack and was using Tellurium Q Silver Diamond power cable. The RCA interconnect connecting it with power amplifiers came from the same Tellurium Q line. As a source we used my Ancient Audio AIR V-edition CD Player connected to the preamplifier with RCA Siltech Triple Crown. Two hours later I was ready for my listening session. Artur Rubinstein, Artur Rubinstein plays Chopin, Polskie Nagrania MUZA/Polskie Nagrania PNCD 487, CD (1984/2008). J.S. Bach, Cello suites Nos 1,3&5, wyk. Mischa Maisky, Deutsche Grammophon/Universal Music LC (Japan) UCCG-50085, “Best 100”, SHM-CD (1999/2011). Mendelssohn & Brahms, Violin Concerto, wiol. Hilary Hahn, „Best Classics 100”, Sony Classical/Sony Music Japan, SICC 30088, Blu-spec CD2 (1997/2012). Wes Montgomery & Wynton Kelly Trio, Smokin’ At The Half Note, Verve 2103476, „Verve Master Edition”, CD (1965/2005). Before I began I thought that it would be an easy one – the very short time for getting to know this set would let me just touch the topic without getting in too deep, just describe my initial impressions. Right after I started critical listening I knew that this was such a refined, fantastic performance that the review had to be very serious. A much shorter than usual listening session had to be enough; but I still tried to listen to as many albums and tunes that I could before Silvio and Geoffrey packed the devices and drove back to Monaco. On the other hand maybe it was for the best, the short listening session I mean. This Timbre Lock feature, the key to the sound of Audiopax products, is simply addictive. Despite the fact that, in theory, there was only one 'correct' setting, I couldn't help myself and experimented with it while listening to the first few albums only to get back to the settings Silvio initially chose using the recording of cello played by Mischa Maisky – it was simply the best one.